KARE scientist visits Australia to share insights into disease control and food safety strategies for tree nut crops. Themis Michailides, plant pathologist and lecturer in the Department of Plant Pathology at UC Davis, and Kearney Agricultural Research and Extension Center, recently visited Australia, primarily to visit pistachio and almond orchards and discuss disease control and food safety strategies for these crops. In 2011, Australia had excessive rains at harvest time, which resulted in pistachio crop losses of 40 to 50 percent due to anthracnose fungi. The lost crop was worth about $15 million. To help prevent the problem in the future, the growers went to California to get input on current disease management strategies. Themis Michailides’ research and extension program was very helpful. 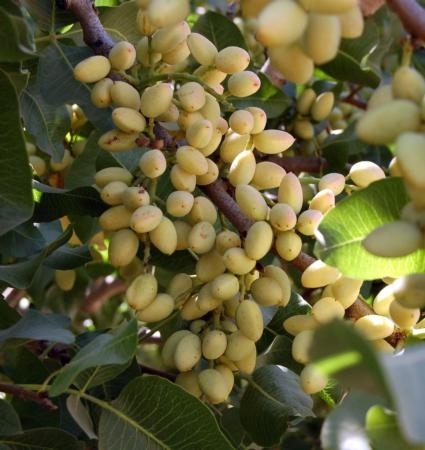 As a result, the pistachio and almond crop growers of Australia created protocols to prevent and control the disease. The Australian Pistachio Industry invited Dr. Michailides to tour the Riverland and Sunraysia regions this year to inspect orchards that were previously affected by the anthracnose as well as meet with Australian researchers. Dr. Michailides was surprised to find lower limb dieback in Australia. This is a problem that his program studied in California for many years with funds from the Californian Almond Board. The trip was mutually beneficial. The Australian industry and researchers received expert advice and Dr. Michailides learned about practices in Australia that can benefit his research and extension program in California. Highlights of the trip are summarized below. Brisbane: met with Australian plant pathologists from the local area and discussed many plant diseases of interest to the local region. Adelaide: stayed and enjoyed visiting with his UC Davis classmate Prue McMichael’s family; visited local laboratories and research organizations to discuss pistachio, pomegranate and almond disease control and food safety strategies. Mallee and Riverland regions: met with growers and researchers to discuss disease control and food safety strategies for pistachios and almonds. Displayed samples of Anthracnose and Botryosphaeria infected nuts and leaves that were collected during Dr. Michailides’ Australian orchard visits. Mildura: met with the Australian Pistachio Research and Development Committee and discussed some of the pistachio disease control efficacy research being done in Australia. Recommended that the committee access “Fungicides, Bactericides, and Biologicals for deciduous Tree Fruit, Nut, Strawberry, and Vine Corps 2012” to review current pest management strategies for tree fruit, tree nut, strawberry and vine crops. Shared how to closely inspect trees, bark, wood, leaves and nuts to identify and diagnose symptoms of various diseases, as well as predict disease risks based on inoculum levels and weather conditions. The California Pistachio Research Board (CPRB) held a meeting at Kearney on January 17, 2013, to allow research programs to present research proposals for 2013 research funding. Twenty-eight research proposals were presented at the meeting, requesting a total of $1,076,000. Commodity research board funding is an essential part of University of California research programs. Established by a 2007 pistachio producer referendum, the CPRB is a state marketing order that receives mandatory assessments from pistachio producers and awards funds to research on pistachio propagation, production, harvesting, handling and preparation for market. It also provides pistachio growers with educational materials and opportunities. The CRPB compiled and the Administrative Committee for Pistachios provides a searchable database of archived pistachio research reports from 1980 through 2010. In 2012, the CPRB awarded a total of $564,500 to twenty research projects. This year, the CPRB has $1.6 million available for pistachio research. The award notices will be made in early March. California Pistachio Research Board meeting attendees participating in the research project proposal presentation process. Thanks to a gift from the California Pistachio Research Board, UC Agriculture and Natural Resources will soon be hiring a new UC Cooperative Extension specialist, announced Barbara Allen-Diaz, University of California vice president for Agriculture and Natural Resources. The Pistachio Research Board will donate $1.5 million to support a UC Cooperative Extension specialist to conduct nut and fruit disease research. This specialist position, which will be based in the Department of Plant Pathology at UC Davis and housed at Kearney Agricultural Research and Extension Center in Parlier, will help UC ANR fulfill its mission as well as serve the pistachio industry’s needs. “On behalf of California’s pistachio growers, the California Pistachio Research Board is pleased to invest in the research and extension activities of the University of California and particularly UC Cooperative Extension,” said Bob Klein, manager of the California Pistachio Research Board. This is the third UC Cooperative Extension academic position funded through a partnership between the agricultural community and UC ANR. 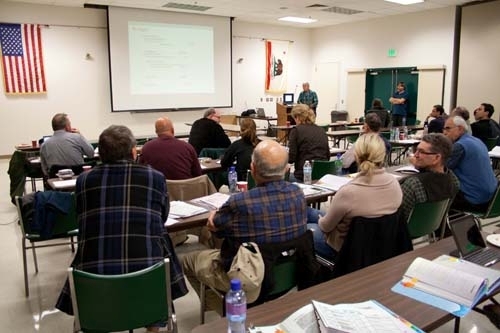 The California Rice Research Board and the California Table Grape Commission were the first to partner with the university in this new public-private funding model to fund UC Cooperative Extension positions. “We value our partnership with the UC and will continue to invest in additional research positions as well as support the ongoing research and extension activities of UC scientists,” Klein said. To discuss potential partnership opportunities to fund academic positions, contact Cindy Barber at Cynthia.Barber@ucop.edu or (510) 987-9139. Research conducted over the past 11 years at the UC Kearney Agricultural Research and Extension Center in Parlier, Calif., will help ensure the safety of California’s $1.16 billion pistachio crop. This summer, for the first time, a beneficial fungus is being used in San Joaquin Valley pistachio orchards to protect the nuts from aflatoxin contamination. Aflatoxin can form on a wide variety of crops, from corn to cotton to tree nuts. Careful management practices help keep levels low, but still hundreds of thousands of pounds of pistachios are rejected each year due to the presence of aflatoxin. 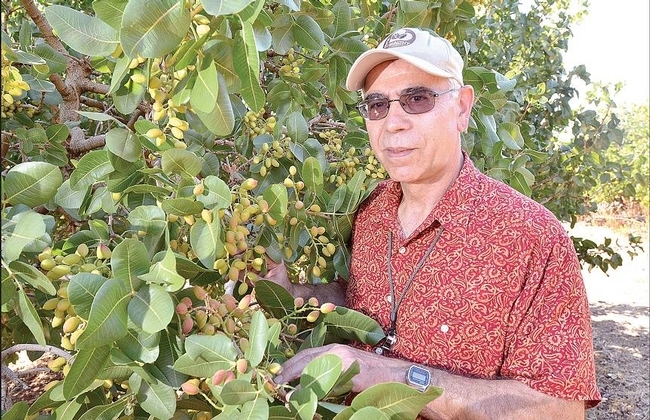 UC Davis plant pathologist Themis Michailides and his team of researchers at Kearney discovered how to expose pistachio trees to the spores of a beneficial fungus that displaces the fungi that produce aflatoxin. Displacing aflatoxigenic fungi with a beneficial fungus has never before been done in tree crops. The new process was approved by the U.S. Environmental Protection Agency in February and the California Department of Pesticide Regulation in May, in time for 60,000 acres of the 2012 California pistachio crop to receive the innovative treatment. Aflatoxin was discovered in the 1960s when a flock of turkeys in England died after eating contaminated feed. Aflatoxin is produced by certain strains of the fungus Aspergillus flavus, which is commonly found in soil and decaying vegetation. Aflatoxin is a resilient foe. Roasting nuts does not destroy the toxin. Other crops, such as corn and cottonseed used as animal feed, can be treated with ammonia to reduce aflatoxin, however ammonia treatment is not possible for human food, such as tree nut crops. All shipments of pistachios are tested for aflatoxins, and are rejected in Europe if contamination exceeds 10 parts per billion and in the United States if shipments have more than 15 parts per billion. The use of beneficial fungi to fight aflatoxin was first discovered and investigated by Peter Cotty, a USDA Agricultural Research Service plant pathologist located in the School of Plant Sciences at the University of Arizona. Cotty’s research focuses on reducing aflatoxin presence in corn and cottonseed. In collaboration with Cotty, Michailides and his colleague Mark Doster, staff research associate in the Michailides lab at Kearney, found that Aspergillus flavus 36 (AF36) can be introduced into an orchard by inoculating “dead” wheat seeds and then dispersing the seeds on the orchard floor. Dew and soil moisture spur the development of harmless spores that colonize pistachios and prevent colonization by toxigenic fungus strains. The Kearney scientists are continuing their cooperation with USDA’s Cotty as they expand the research to almonds and figs. Michailides’ aflatoxin research was funded by USDA, the California Pistachio Research Board, the Almond Board of California and a UC Discovery Grant. The research was made possible by the involvement of cooperating pistachio growers who opened their orchards to scientists for conducting AF36 trials.